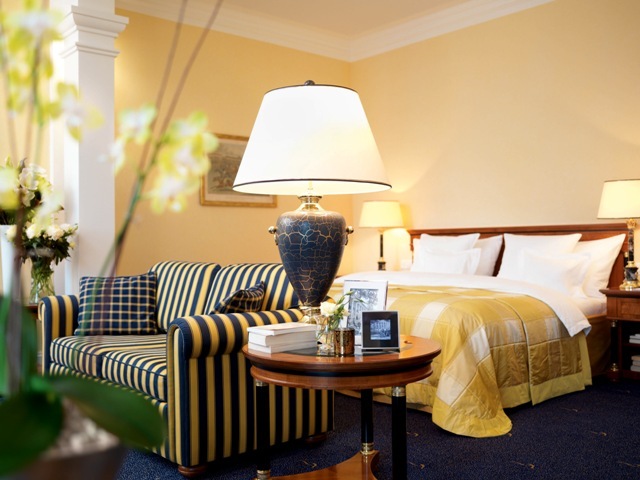 With the iconic Grand Tour of Switzerland route passing by its doorstep, Grand Resort Bad Ragaz is very grand on just about any level you care to mention. 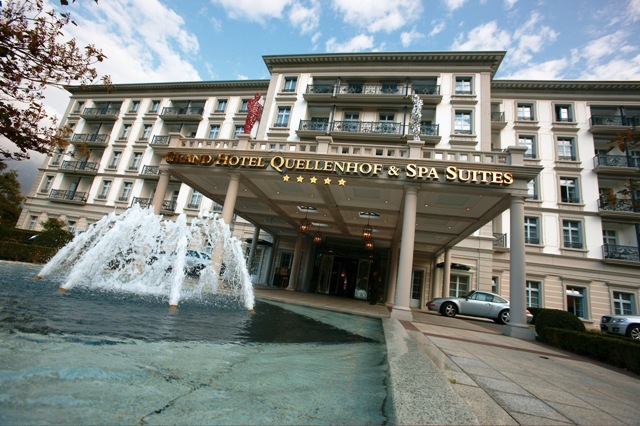 There are two five star hotels for a start; the all-suite Grand Hotel Quellenhof & Spa Suites and next door the equally Grand Hotel Hof Ragaz. There are six impressive restaurants collecting no less than 58 Gault Millau points and a Michelin Star between them, the latest being IGNIV by celebrated Swiss chef Andreas Caminada. 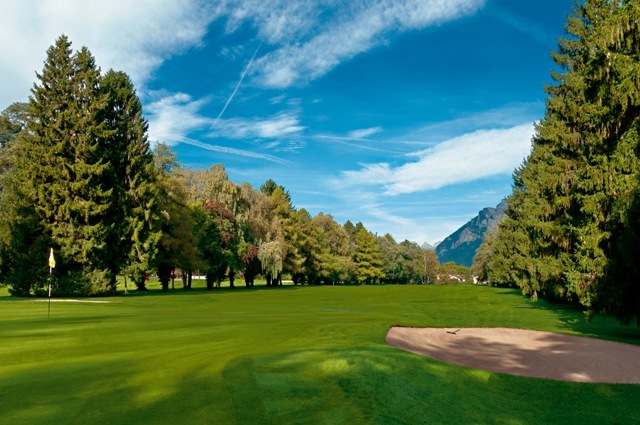 Of the two golf courses, the 18 hole PGA championship course has been the home of the European Senior Tour since 1997 and there’s a 9 hole Executive course and driving range too. Dominating the resort though, is its centrepiece health complex and thermal spa which frankly has to be seen to be believed. The luxury thermal spa where that magical water is a constant 36.5 degrees (you can even drink it) provides well being therapy across the board from a range of pools, treatments and massages; everything from herbal steam bath using Swarovski crystals to exotic body treatments ensuring your ying and yang are perpetually aligned. 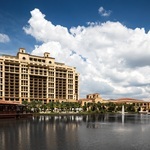 There’s also a 7,300 square metre public thermal spa for non residents with its own huge range of available treatments. Then there is the Medical Centre and Clinic of course. A veritable army of specialist clinicians and consultants are on hand to plan assess and treat patients’ health issues from rheumatology and rehabilitation and mental health, to dental, ophthalmic and plastic surgery and even gynecology and fertility. 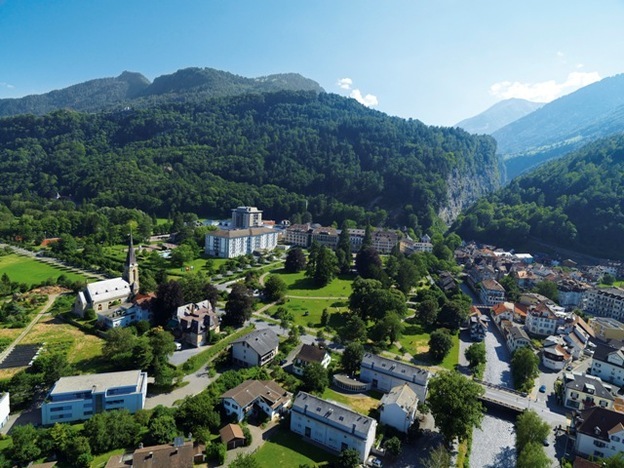 All this is within touching distance of Switzerland’s alpine ranges, these immense cathedrals in the sky positively reflect a clean, healthy and inspiring lifestyle. Clearly, these waters better not run out. 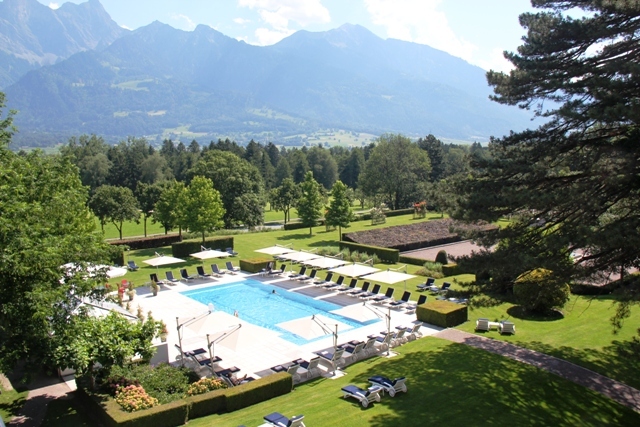 To make up the numbers at the Grand Resort Bad Ragaz there’s a casino in house, too many outdoor adventures to mention, and my personal favourite, a Porsche or a Harley Davidson for guests to use free of charge. 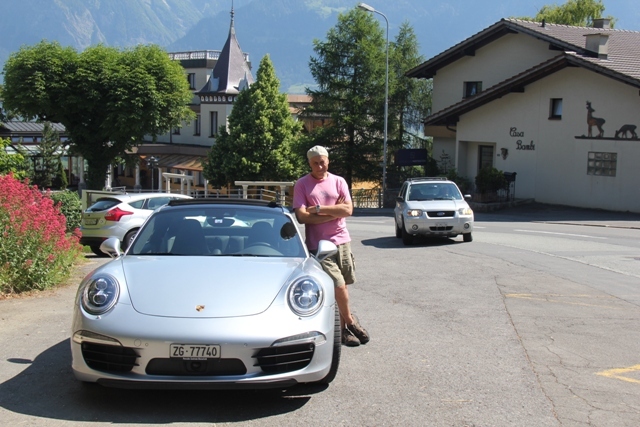 Here, I have to own to taking the Porsche for a spin up the nearest mountain road. My stay is nowhere near long enough to sample everything on hand as I am here for a resting stop while driving the Grand Tour of Switzerland. 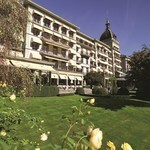 Having said that, my dinner experience is a perfect example of why Grand Resort Bad Ragaz is so err, grand. 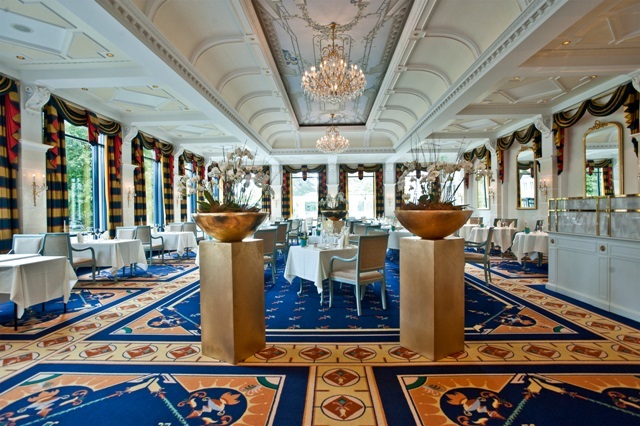 I’m due to have dinner in the 15 Gault Millau, Restaurant Bel-Air. So, even though I hear a rumour about the entire Russian European Championship football squad dining together in the blue section, I opt for a table for two out on the red section terrace, sans jacket of course. But there is another surprise in store. Needless to say, I got an opinion from each one. I’m pleased to report the meal was a triumph. A delicious sample of international and Japanese dishes for me and a healthy balanced “Cuisine Équilibrée” for my wife. I cannot remember ever being so utterly overwhelmed by a single resort. By the sheer volume of services and facilities on offer to guests and how every single aspect of luxury and healthy living is at my beck and call. 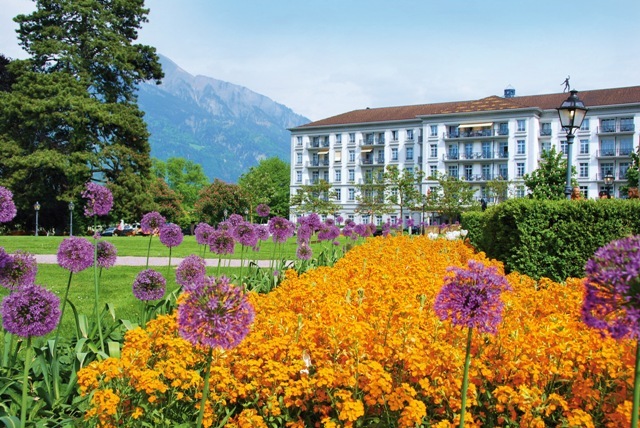 Just an hour’s drive from Zurich, at the gateway to the mountains, the Grand Resort Bad Ragaz is for once, entirely worthy of using the word Grand.